Line X coating makes things literally impossible to break! Line X coating is a tough and durable protection that the company is providing the word with. Moreover, it is applied world wide. But, how good the protective spray-on coating actually is? Well, as we can see, it’s pretty unbeatable when it comes to protecting things. Apparently, Line X coating has many advantaged and that’s why it is dominant in industrial and military coating markets. The spray offers corrosion and rust prevention, high abrasion resistance and most importantly, immortality. The folks at Line X are really convinced that the product they are selling is one of the best out there. 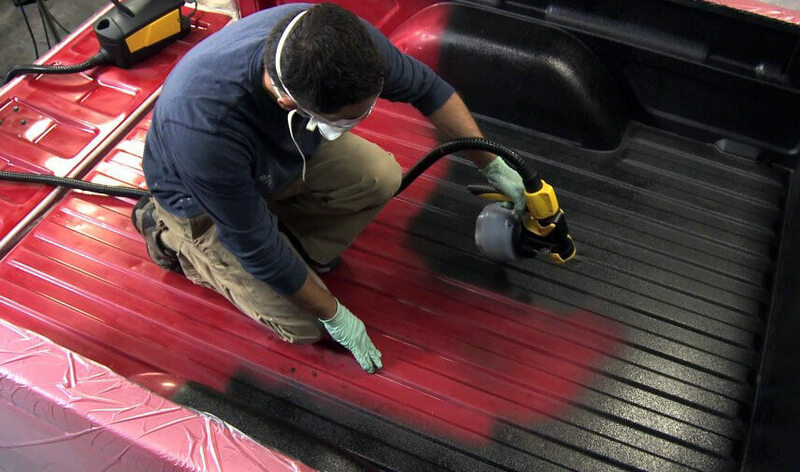 Since then, the company is on a mission to show the world how awesome the spray-on coating actually is. Thus, they have made this video that showcases few experiments. Namely, when you apply the spray on a brick, an egg or a place and throw then from a building they won’t even get a scratch. These objects are made impact resistant just by applying a thin the Line X coating on them. According to Line X, the coating creates an elastic barrier which turns the brick and all the other thing they have tested on a rubber ball, in a way. Making things difficult to break and impossible to be destroyed is what Line X does. Let’s hope that this will serve its purpose in the world properly, as it should. Check it out!